This is a sponsored post, written in partnership with EcoJarz. Four years ago, I was introduced to a magical thing called the ToGoJar. 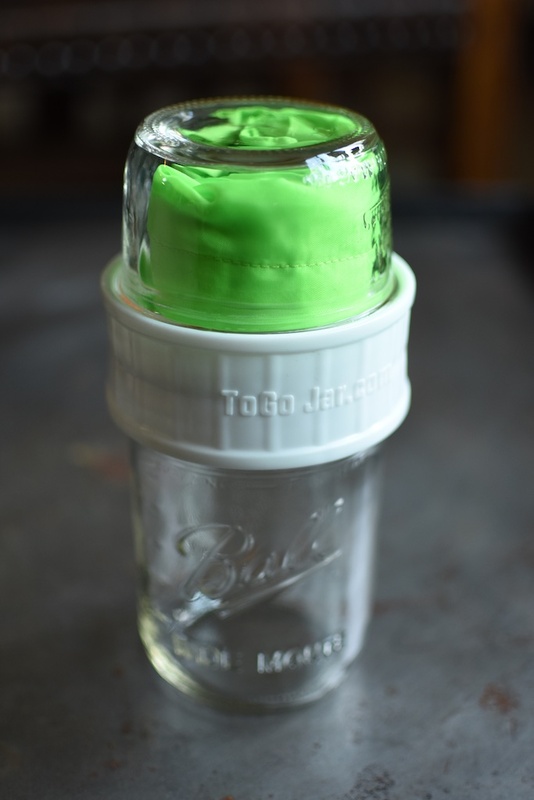 A plastic coupler designed to connect two mason jars (the jars are fitted with flat lids to prevent leakage), it was hugely practical item for those of us who keep an army of mason jars in our homes and like to take our meals and dishes out into the world. In the intervening years, the ToGoJar has come in and out of availability (I first wrote about it as part of their initial Kickstarter). I’ve used the two I have endlessly, and I’m delighted to say that this handy item is now within easy reach again. 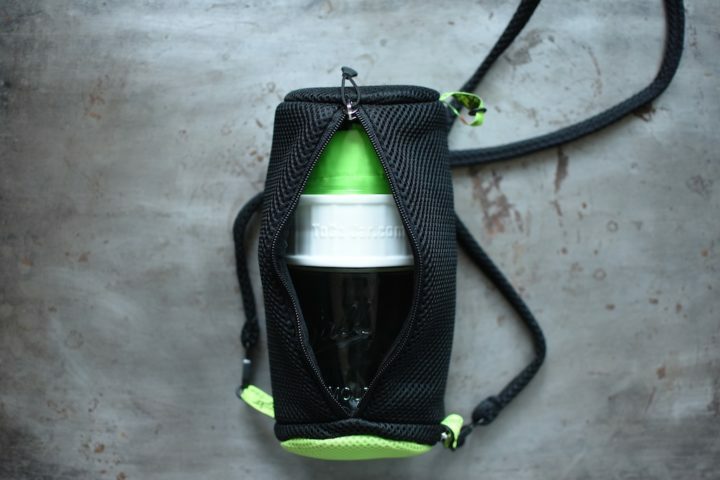 The good folks over at EcoJarz are selling it on their website and have two options to choose from. You can either buy the ToGoJar individually (you’ll get the plastic coupler and two flat lids), or you can pick up the ToGoJar Travel Set. 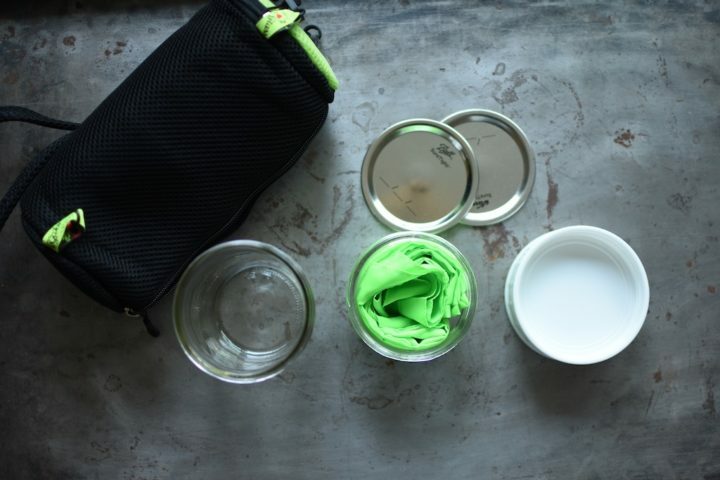 I’m partial to the Travel Set, because it includes two wide mouth jars with their flat lids (one pint jar and one half pint jar), the ToGoJar coupler, a protective cozy that zips up around the jars, and a bright green reusable tote bag. I find the Travel Set so useful this time of year, when I find myself packing up food for family gatherings and holiday parties. 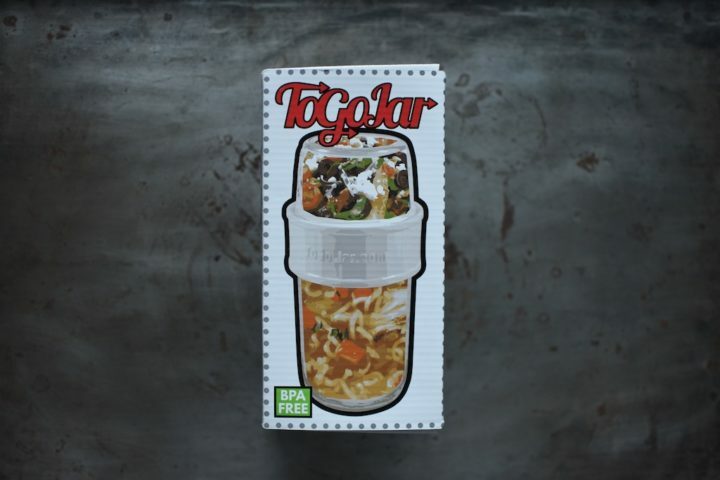 Because the ToGoJar coupler connects two jars together, I can pack up my salad toppings in glass without ever worrying that the jars are going to bump into one another in transit and potentially break. It also makes an ideal lunch kit. If you keep a bowl at your desk, you can pack a serving of soup in the larger jar and put croutons, toasted nuts, or bits of crushed tortilla chips in the smaller one. When you get hungry, pour the soup into your bowl and reheat. Top the warm soup with your garnish of choice and congratulation yourself on a tasty, waste-free meal. For those of you who have a jar lover who has everything on your holiday list, I think a ToGoJar Travel Set might be just the ticket! Nice set, but too bad the tote bag isn’t insulated to keep the soup warm for several hours. You don’t always have a bowl and microwave handy. 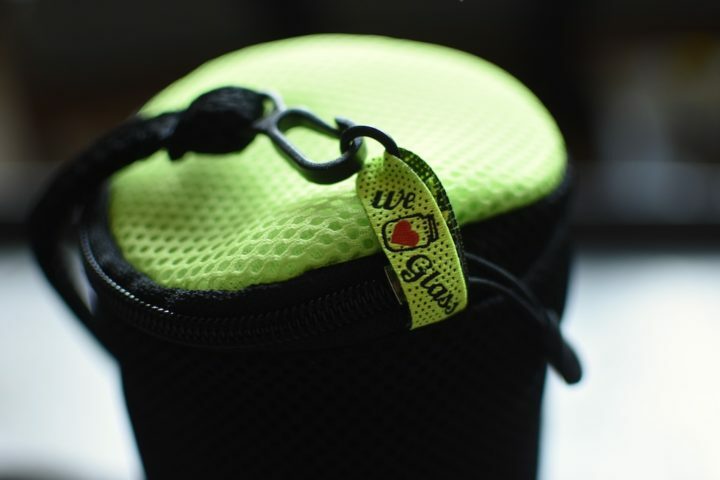 The carrying case is insulated. It would probably keep things warm for an hour or so.